Land in Kathamandu. The airport is a little crazy. If you haven’t got your visa yet you have to go straight to the ATM-looking machine, pop in your passport and fill in your details on the iPad. That prints out a receipt, take that to the cashier and pay your $25/$40 visa fee in cash, then go to the immigration counter ‘without visa’. He’ll stamp you in and you’re free to collect your bag. You can get a pre-paid taxi from the airport counters for about $7 too, super easy. From there, go straight to your hotel and check-in. 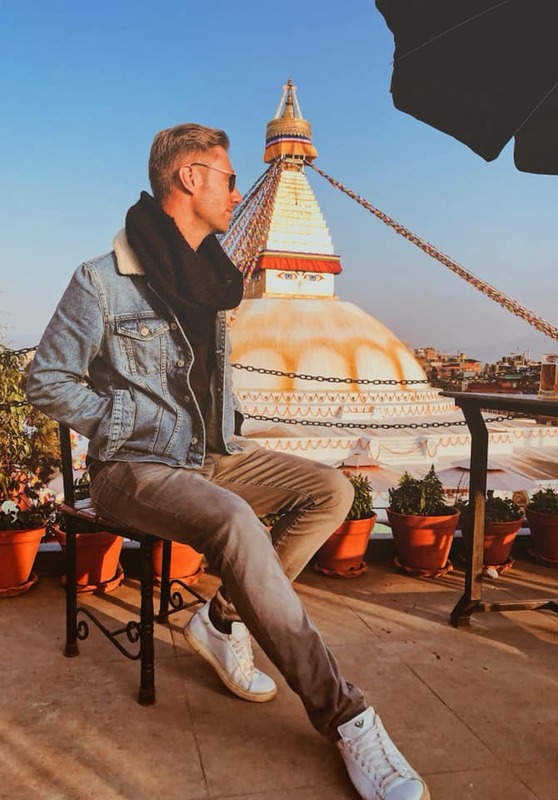 You can choose to either stay in the tourist area of Thamel, or if you stay 20 minutes outside in the more relaxed area around Boudhanath (which is what I did), that also suits this itinerary even better too! 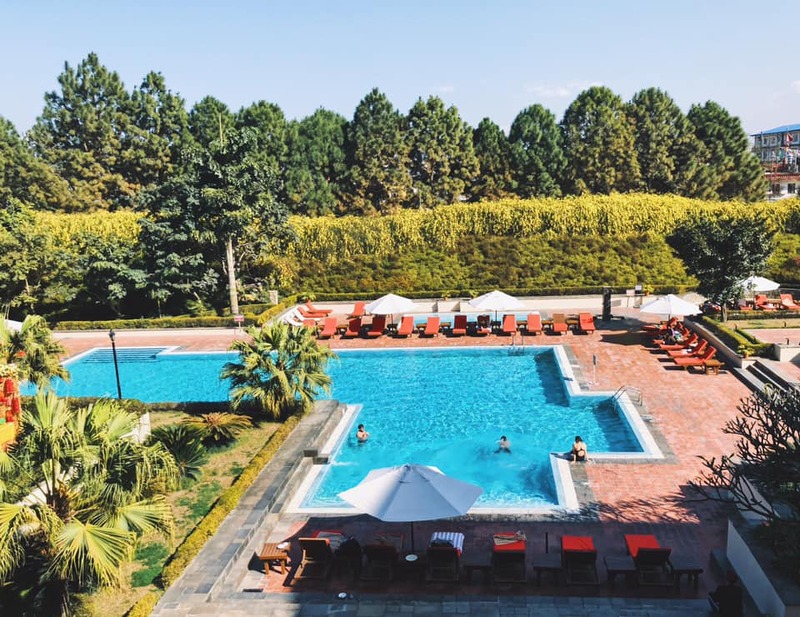 I stayed at the Hyatt Regency Kathmandu, which was not only gorgeous but also walking distance to the UNESCO World Heritage site of Boudhanath, the location is perfect for this 3-day itinerary. 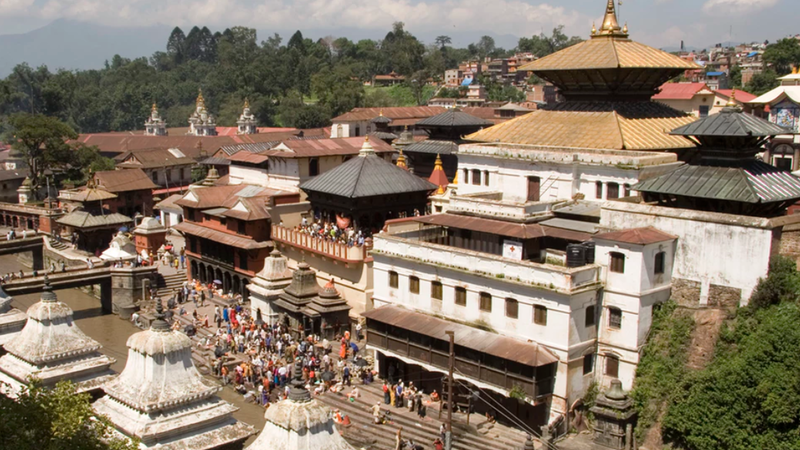 Once checked in you have 2 things on your hit list today – Pashupatinath Temple and the Boudhanath Stupa. First up, Pashupatinath. Jump in a taxi for 10 minutes and make your way to one of Hinduism’s most important temples, dedicated to Shiva. It’s 1000 rupees ($9) to enter, but once you’re in be ready for the chaos. Human cremations, monkeys, insense, Temples. It’s intense. Just remember people are mourning their dead, so remain respectful throughout. From Pashupatinath temple, you can either walk for 30 minutes or take a 5 minute taxi to Boudhanath Stupa. 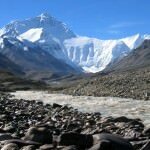 One of the most sacred sites for Tibetan Buddhism. This huge stupa is one of the largest in the world. 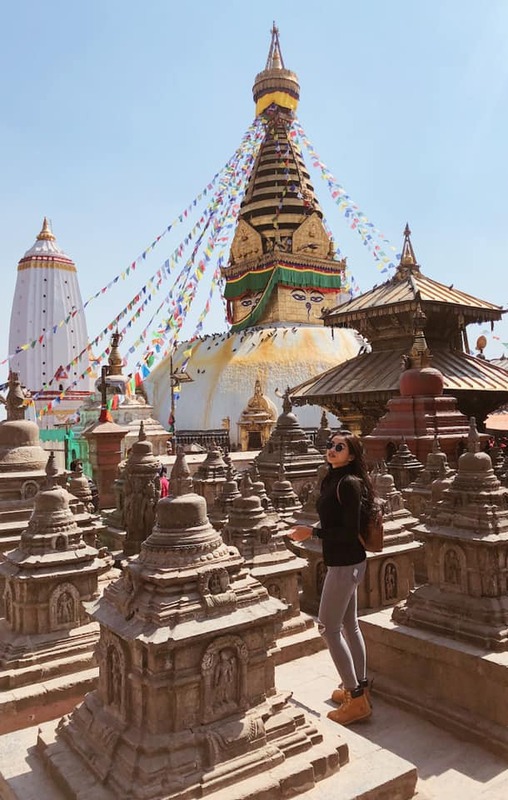 The best way to time is this is to arrive around 1 hour before sunset, join the pilgrims walking around the Stupa, then go for a sunset dinner on a roof-top restaurant and watch the colours change, the mountains in the background and then the Stupa light up at night. Truly beautiful. If you’re staying at the Hyatt Regency, it’s just a 10-minute walk back after dinner to your hotel. 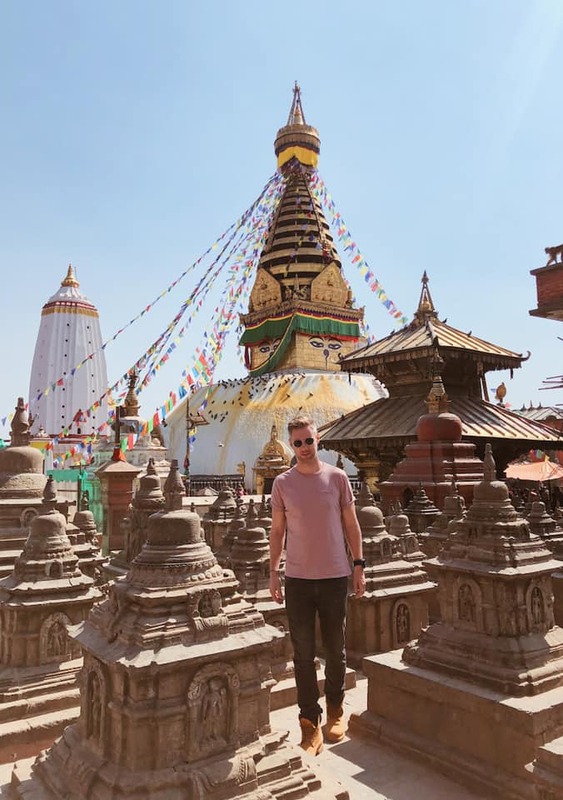 Here’s the google map for Day 1, from the airport, to your hotel in Boudhanath area, to Pashupatinath temple and then back to the Stupa for sunset, then back to the hotel. On Day 1, ask your taxi driver can he drive you to Nagaorkot, then Bhaktapur, then back to your hotel in Kathmandu. The going rate for this is around 4000 Rupees (about $35). If you’re a quick tourist, I’d recommend 8am to 3pm, if you’re a little slower perhaps 7am to 5pm, or even earlier if you wanna catch sunrise. From Kathmandu to Nagorkot can take between just over an hour to 2.5 hours depending on traffic, another reason NOT to stay in the Thamel area. 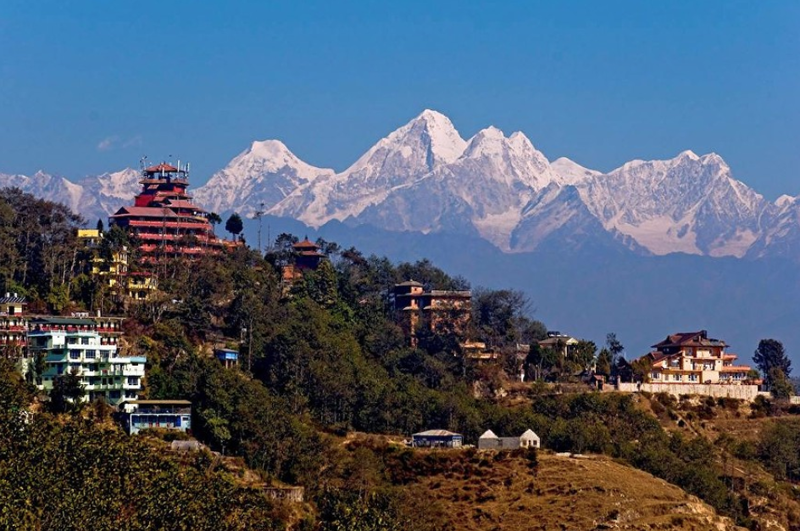 Nagarkot is famous for its Himalayan views- the Himalayan peaks at sunrise are unreal (but require an EARLY start! ), it costs arond 400 rupees ($4) to enter and then you’re free to roam. There is one particular view point atop a view tower which is gorgeous, but all around is pretty spectacular. As a day-trip it’s beautiful, but if you have time to burn, and you’re traveling indefinitely, a night here would be a night well spent, it’s gorgeous, and cheap! If you’re just going for the views, go early when the air is clearer. After soaking up the mountain views, it’s time to head to Bhaktapur, about an hour or so drive, hopefully a little less and en route back to Kathmandu. 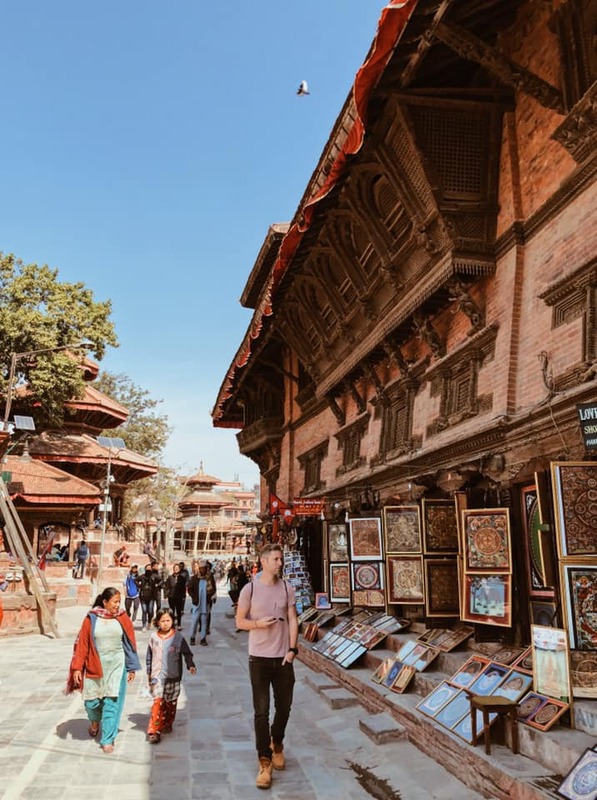 Bhaktapur (1500 Rupees or $15) is ANOTHER UNESCO world heritage site, and is a centre of Culture in the Kathmandu Valley region. The old city, their Durbar square and the little alleys joining the whole thing together are super charming. Your taxi driver will probably take you around, and it’s worth an hour or 2 of anyone’s time. 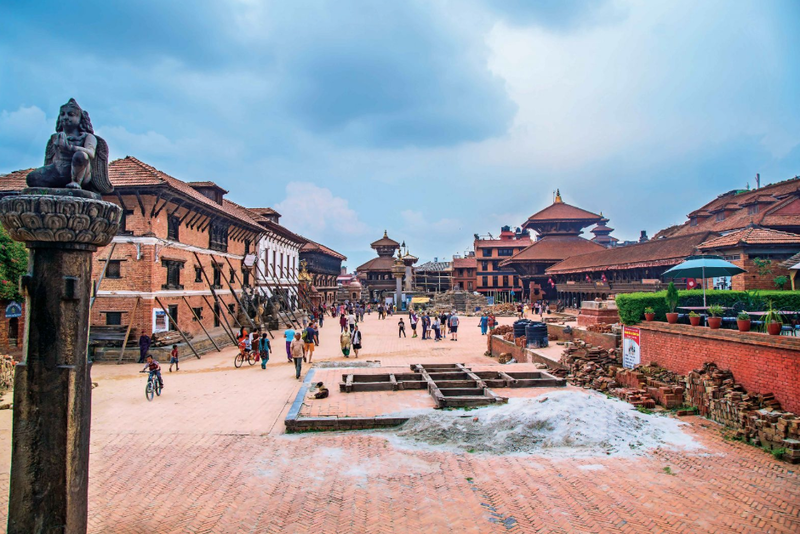 Since the earthquake destroyed so much of Kathmandu’s Durbar Square, Bhaktapur has filled that gap. 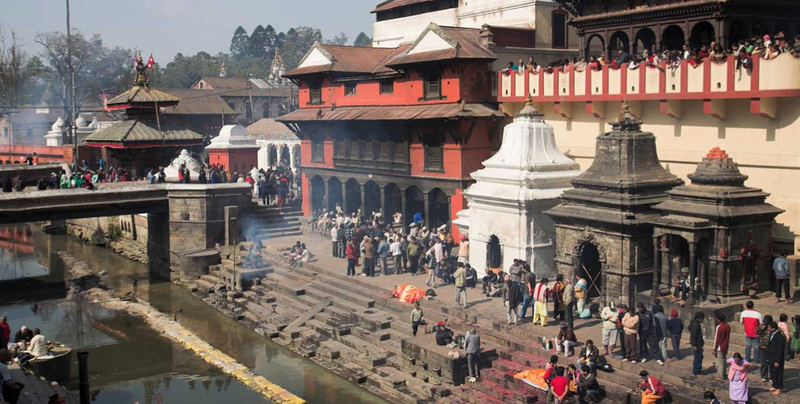 It’s your last day, so it’s time to see Kathmandu’s highlights. The best way to get around is to take a taxi, I’d recommend getting a new taxi each time so you’re free, rather than getting a driver for the day. First, I’d hit up Patan (1000 rupees/$9), as it’s a little outside the city centre. 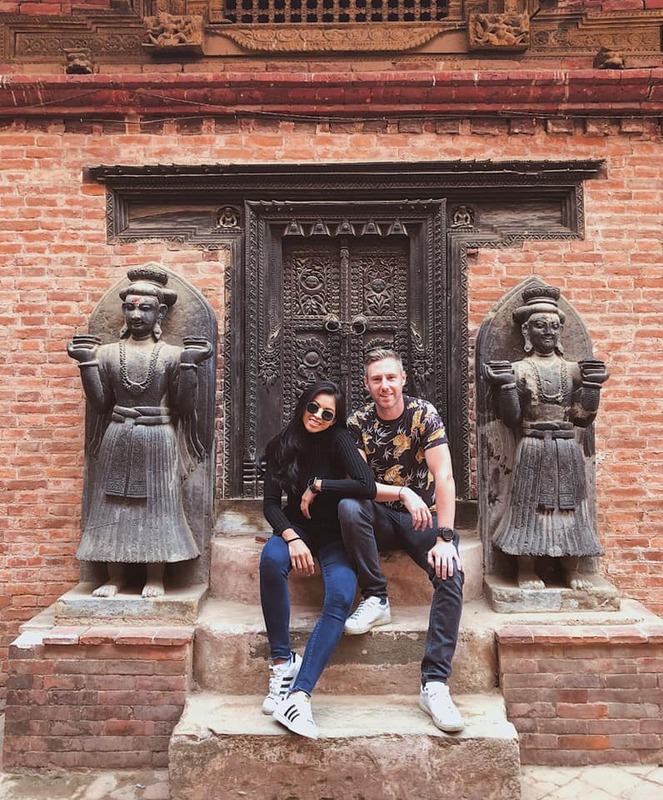 Patan Durbar Square is a UNESCO world heritage site (yup another one! ), full of temples, statues, palaces & the must-see attraction of Patan Museum. Give yourself around an hour here. From Patan, hop in a cab and make your way to the monkey temple aka Swayambhunath Temple (200 rupees/$2). Ask your taxi driver to drop you at the bottom of the stairs and enjoy the walk up, past the countless vendors, and cute monkeys hopping around. Once you’re in you can wander around the grounds, take some pics and enjoy some gorgeous rooftop views. 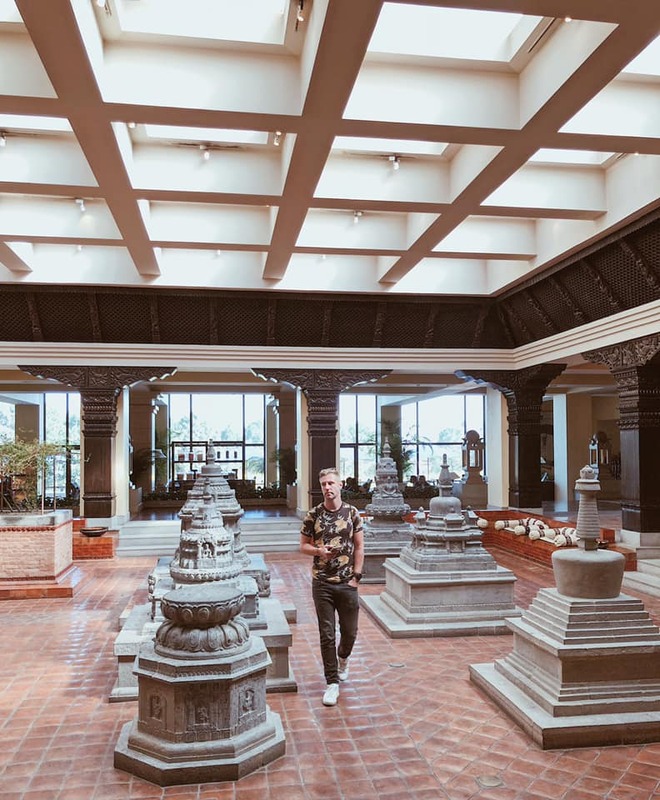 Find the art gallery behind the temple and ask to access their roof top, beautiful! An hour or so should be enough here too. Next up, off to Kathmandu Durbar Square (1000 rupees, $15) in a 5/10 minute taxi ride. The earthquake damaged the square quite badly, but it’s another UNESCO site, so you’d be missing out if you skip it. The square has been occupied since the construction of a palace around 1000AD and is the most popular UNESCO World Heritage Site in Nepal. After that, you can walk (20 mins) to Thamel, the backpacker area where you can buy all the fake trekking gear in the world! Bars, vegetarian food, hawkers, roof tops, cafes, it’s a great place to spend an hour or 2 wandering around and getting lost in. When the madness gets too much, wander over to the Garden of Dreams, a renovated walled garden where you can get quality cakes and coffees and compose yourself away from the madness of Kathmandu. 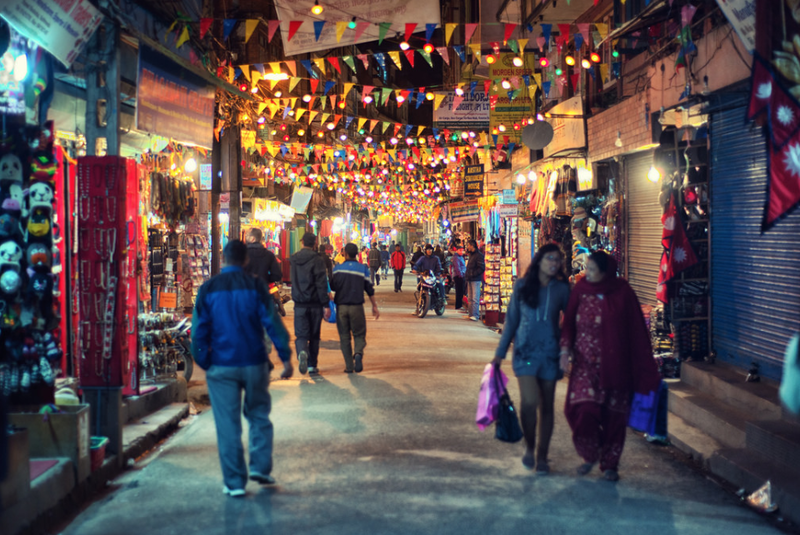 Head back into Thamel for dinner, and your day is up! 3 days are done and dusted! If you’re on a city break from Asia, 3 nights in Kathmandu is perfect. 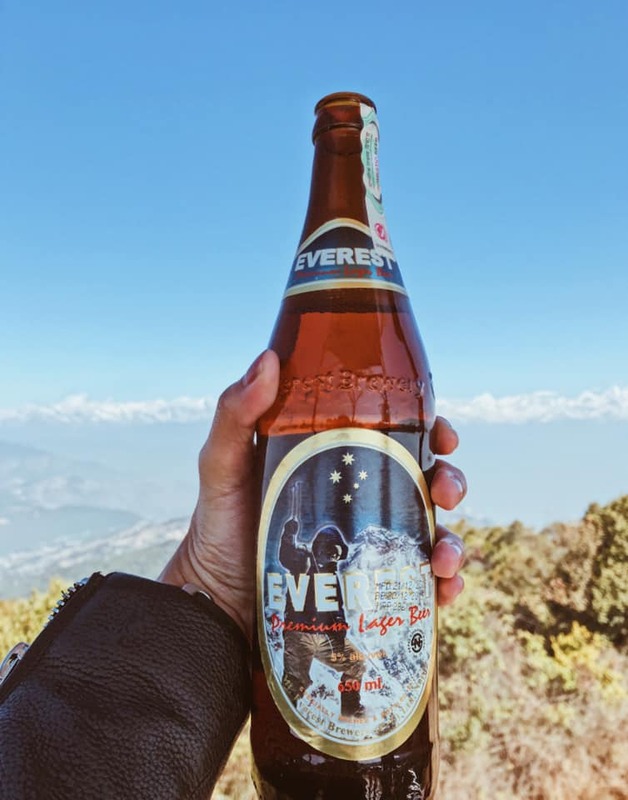 If you’re traveling around Nepal, then you need to go and explore further. Lumbini, where Buddha was born. Chitwan National park, home to wild rhinos. 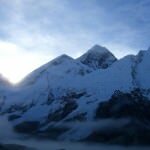 Pokhara, Annapurna base camp trek, Mount Everest base camp! So much to explore in Nepal, but 3 nights in Kathmandu is a great start. 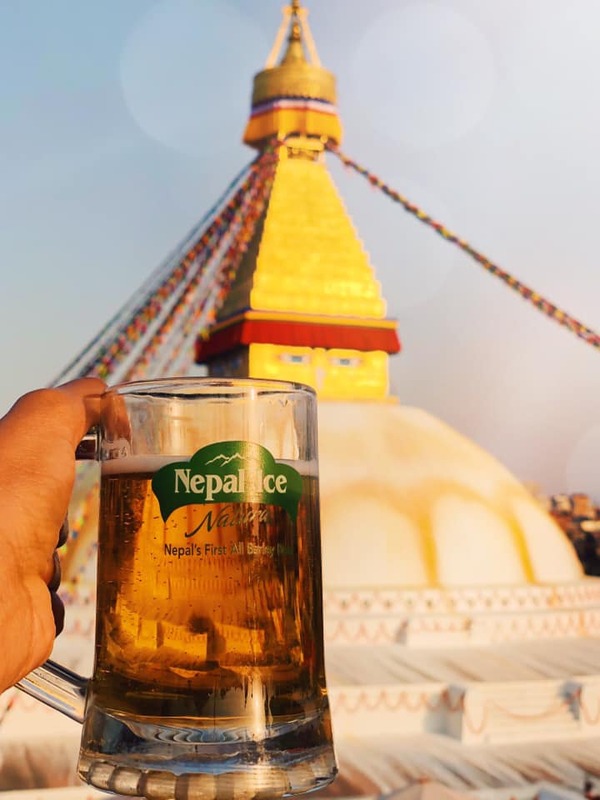 There are 2 main areas you can stay really, either in the madness of Thamel or beside the UNESCO Boudhanath stupa, about 20 minutes outside of Thamel, nearer the airport. 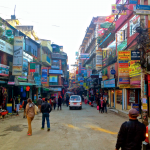 Backpackers on a budget tend to stay in Thamel, where you can get a decent hotel for $50. 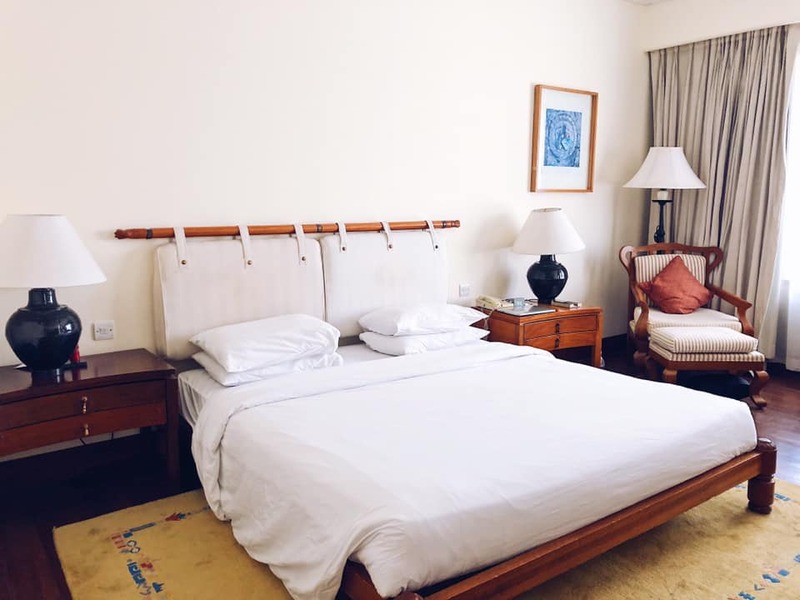 If you’re looking for something a little more comfortable, with a pool, a gym, a proper breakfast, then the higher-end hotels are around Boudhanath, which is exactly where I wanted to stay. In all honesty, there are only 3 or 4 luxury hotels in all of Kathmandu, and I choose to stay at the Hyatt Regency, Kathmandu. Why? For $150 or so a night, it offers everything I needed (including a proper gym, where I could train every day for my Marathon Des Sables race in April 2019). 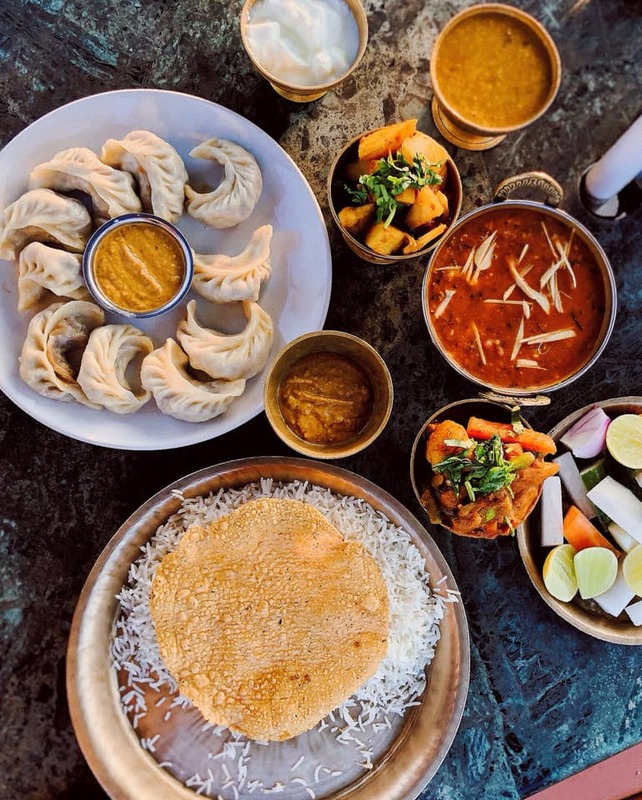 It also has an amazing breakfast spread, and even better it’s just a 5 minute walk to the Stupa, and a 25 minute walk to Pashupatinath Temple complex. 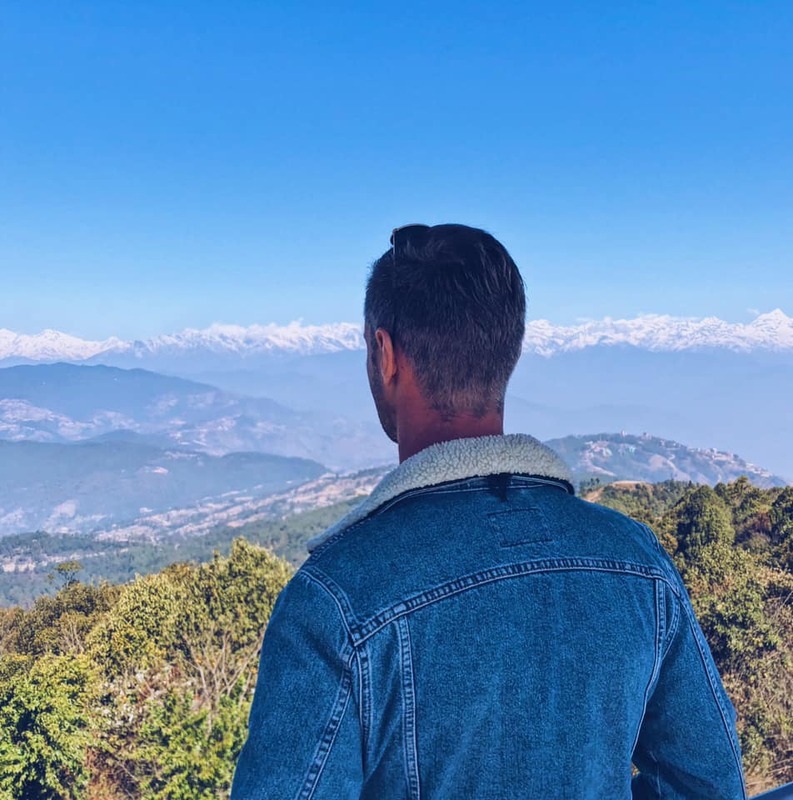 So Day 1 of my itinerary was super easy with this location, AND day 2 was perfect too as I didn’t have to fight with the traffic in downtown Kathmandu on my way to Nagarkot and Bhaktapur, both of which are on the same side of the city as my hotel. 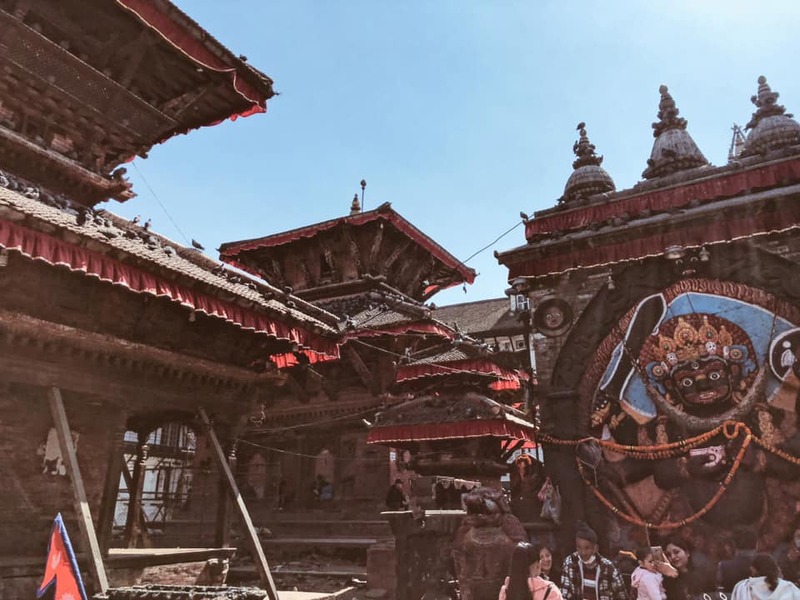 I could easily hop in a taxi and be in Thamel within $3 and 20 minutes but I didn’t have to deal with getting hassled by tourist traps and hawkers every single minute of the day. All-in-all it was a great choice, oh and they also have the best Italian restaurant in Kathmandu, Rox Restaurant – check that out when you’re here! Thanks Dear, I have been looking for a guide book or something else by which I can prepare my self before my first visit in Kathmandu. Well I am working for an essay writing company https://cahomeworkhelp.com/pay-for-homework-in-canada/ and they used to do seminars in all around the world, so as I am a part of it than I will also go with an entire team. 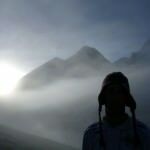 There are so many things in this post which I will going to use when I reached in Kathmandu. So thanks dear, and please keep posting more information about another popular cities.